Now, you need to understand logic of plugin. You have 2 parts for filtering. First part is widget or shortcode form with all filters, second part is post results. Both parts must be configured properly. For first time, you can have panic, because of so many settings. Don’t worry, in most cases, all things must be as default and you need to change only 3-4 fields. 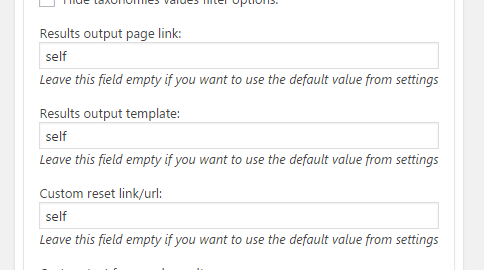 The plugin has 2 widget for filters: MDTF and MDTF Taxonomies only. We need first when we are going to filter post by meta data. 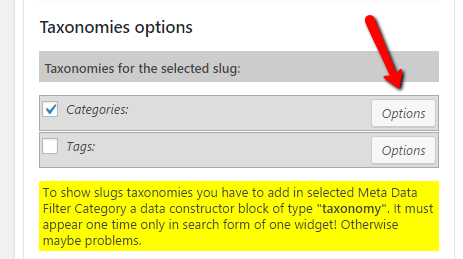 If you want to filter posts only by category or other taxonomy – use Taxonomy only widget. So, let’s consider first widget. If you are planning to use second widget read this instructions too, it is useful for understanding some moments. Drop the widget in sidebar, write title, select filter-category we are going to filter with. Results output template is a template file of theme which is used for results display. In 99%, you need to set word “self” in this field. 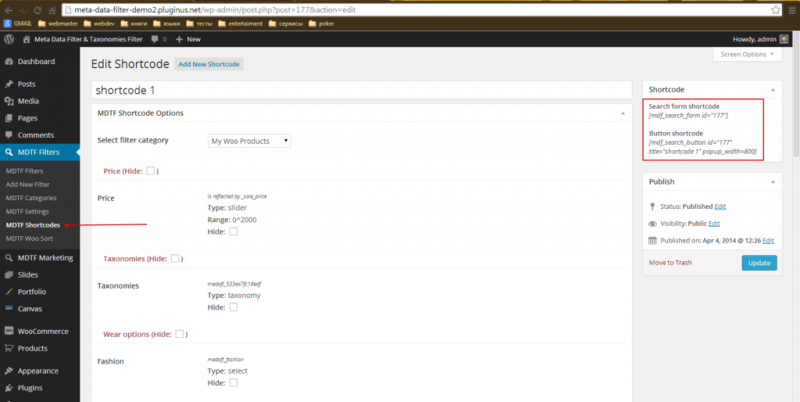 Taxonomy is default logic in wordpress which is used for categories, tags, etc You can enable them also in filters. 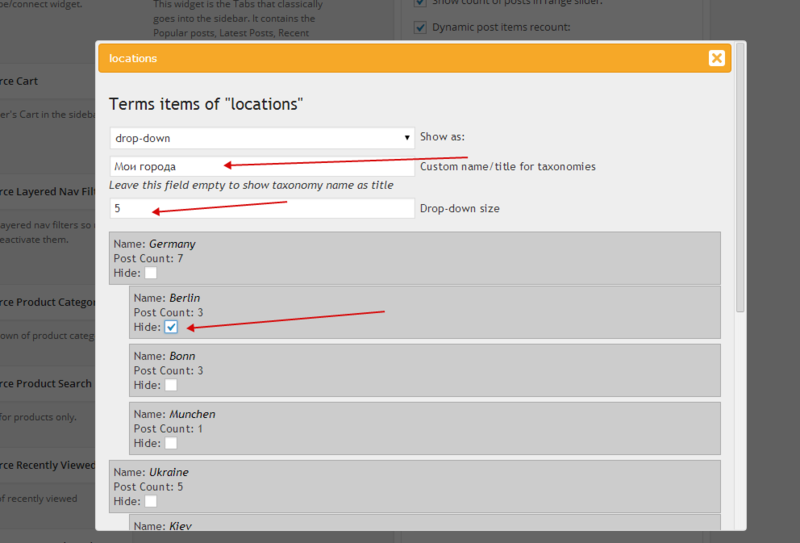 If you selected the taxonomy view as checkboxes, another option will be appeared – Block max height. If you have, for example, 300 terms and such high box can break your layout on front. If you set this max height -scroll bar will appear if block takes more than 300 px. Note: If you want to have search sidebar on all pages of site – drop it in sidebar area. If you want to have search filters in sidebar only for one separate page – drop widget in MDTF sidebar area, create new page and choose “MDTF output page” in page attributes. MDTF sidebar area will be visible only on this page. Use for this plugin Woosidebar which bundled in theme. Also I recommend you do not use plugin custom sidebars for this purpose. 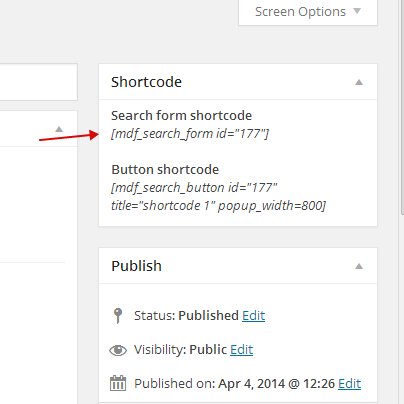 Another way to show filters on site is shortcode form. Adding filter form by shortcode has very similar logic, but more customizable. First difference, that you can choose what fields to include to form. Also, you can choose taxonomy. Second difference – you can use shortcodes in any place of site: in text widgets and in content of page. I created some skins for you. Default and dark – is shortcodes by default. It has 3 column and button in the end. Defaultfullwidth and darkfullwidth – is form that you can use with full width layout. It has 4 column. Use such shortcode only in page content. Also, I create darkmobile and defaultmobile shortcodes. What do they mean? As you know, mobiles has small resolution, so website has only one column on mobiles. Sidebar is displayed at bottom of page, and when you add filter widget to sidebar it will be visible under all content. So, if you want to show filter form also before search results (but only on mobiles), choose this layout. Also, you can use shortcode styles darksidebar and whitesidebar for using shortcodes in sidebar text widget. Why do you need them if you have MDTF widget? Because filter form by shortcode have a good and useful function – you can hide any field or group of fields.